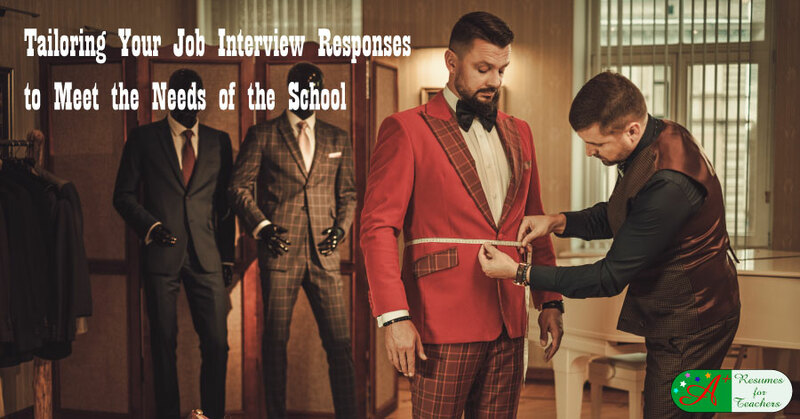 One of the best pieces of advice to heed about interviewing for a teaching position is to tailor your teaching job interview responses to meet the needs of the school. The best way to do this is to be thoroughly prepared for the interview. Here are some interview tips to ensure that your teaching job interview will make a significant impression on any potential employer. Know the School. You can obtain a great deal of information by visiting the school's website. Familiarize yourself with the school while paying particular attention to the administration information. You'll often find a letter to the students' parents from the school principal. This can tell you a lot about the expectations of the principal. Learn about the philosophy of the school, as well as the methods used for teaching and discipline. This will help you tailor your teaching job interview answers to the needs of a particular school. Also, logon to the state's educational department website and find the school in which you are interested. It will tell you the student ethnic composition, the poverty level of the students, and how many students are English Language Learners. Rehearse Your Interview. Prepare for your interview as far in advance as possible. Start by choosing some of the most commonly asked teacher interview questions and write answers for them. Practice your answers until you are confident, but be sure that you don't sound too rehearsed or stiff. Remember that administrators are used to hearing pat responses, so try to think up new or innovative ways to answer questions, especially if you can relate the answer to a specific school. Visit the school before your interview. This isn't always possible, but, if you live close enough and can fit it into your schedule, it is a great idea. You can view the school from the outside to get a feel for how well it is maintained, if parents are encouraged to visit, and what the area is like. Ask for a short tour of the school so that you can gain a better understanding of it. Talk to some of the faculty to find out how they like teaching at the school and the school's philosophy of education. Read a copy of the student newspaper to learn more about the student population and the school administration. Chat with parents waiting to pick up students and ask them what they like about the school and what they think needs improvement. Check out the school's rating. You will learn a lot about the school environment. Ratings/state rankings will show you how well the school ranks in educational subjects and overall academic progress compared to other schools. You may be able to find out how parents rated the school to see what areas of improvement are needed. Then, include this information in your teaching job interview responses. Show that you are a team player. During the interview, you will want to stress the fact that you are ready and willing to become part of the team. Administrators like teachers who are able to work together harmoniously to create a great learning atmosphere. Frequently, this means that you will need to tell them that you are willing to spend extra time at school helping students with academic work, sports activities, or new curricula. Focus on what is important to your interview. For example, it won't do you any good to discuss your interest in helping coach a sports team if the school doesn't participate in sports. Instead, spend time discussing the important goals/activities of a particular school. Special education teachers should spend time researching how the school implements special education, e.g. the populations served, ages of students in special education, number of classes, etc., so they can answer questions appropriately. Keep in mind that many schools are desperate for special education teachers. If you would like to enlist our interview preparation service or need help creating a powerful resume that gets results - contact Candace at A+ Resumes for Teachers by clicking here or call toll-free 1-877-738-8052.